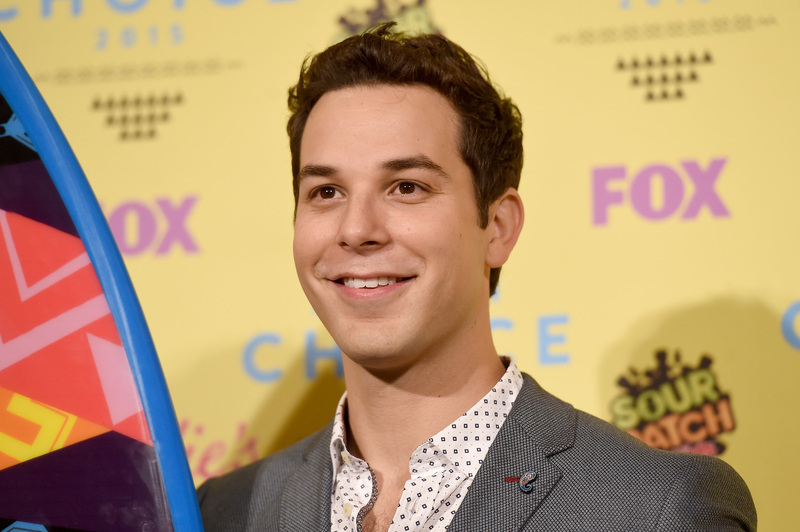 Skylar Astin on "Pitch Perfect 3": How about a cappella in space? "Pitch Perfect" and Broadway star Skylar Astin wants you to take the bus for a good cause. Astin has teamed up with discount bus line Megabus, which is celebrating its 10th anniversary planting 10,000 trees across the U.S. through a partnership with the Arbor Day Foundation. How familiar were you with Megabus before this team-up? The only familiarity I had before getting involved directly was friends and family. My brother has used Megabus several times. They always rave about the Wi-Fi and the outlets that you have, allowing you to charge your phone, certain luxuries like that. And you know what? That is super helpful when they approached me. All my friends and family, when I tell them, say, "Oh, I love Megabus." That kind of sealed the deal for me. What's your preferred mode of travel? Gosh, it's a hard question. It depends on where I'm going. If I'm going somewhere super far, I'll probably have to fly there. I like a good road trip once in a while up the coast. One of these days we'll have self-driving Teslas or something like that. As a New Yorker who has moved to Los Angeles, have you picked a side on the rivalry between the two cities? Well, I'll always be a born-and-bred New Yorker, and that'll never change. My family's here, it's the best place to come, I stay here and I do theater here still. So I consider myself bicoastal, and Los Angeles has really become home in a way, too. I think for the first few years I was kind of a grumpy New Yorker, complaining that you can't get a good slice of pizza and all the stuff New Yorkers complain about with LA, that it's soft. But you know, it's beautiful and if you find the right pocket, the right group of people, you can have a pleasant time out there. It's a beautiful state, California. You've been doing a lot of stage work as well as stuff in film and TV work. Do you have a preference as an actor? They both provide different challenges and different rewards. In theater there's a feeling you get when you can feel an audience and you can guide an audience. Whereas in film, your performance is crafted by directors and editors, yet there's something very powerful about the filmmaking process and very challenging and rewarding in other ways. I'm glad and fortunate that I've gotten to do both and I hope that I continue to do both forever. I'll always return to theater -- I just did a play in New York a couple months ago and it's the itch that I love scratching. It'll always be where I come from. "Pitch Perfect" has become quite a franchise. Do you have a sense of how far Elizabeth Banks can go with it? That's a great question and I don't know. I know there's an answer, but I don't even think that they have it yet. Which is why the script [for "Pitch Perfect 3"] is being written, and I'm sure there are so many creative forces crafting the next story that they tell because you can do so much. The second one was a little bit more linear, going from the nation to the international, but where do you go after international? Space? You're not sending Ms. Banks notes saying, "Hey, how about a little more about the guys this time?" I'm sure they know that I'd love the Treblemakers to be alive and well in the third movie. It was a good thing to have the space between the first and the second movie because I now know what it's like and I now know that my input is as good as anyone else's. They need to do what they do and when they want me, they know what I can do. They know I'm a game competitor and I would love to sink my teeth into another one of those movies.